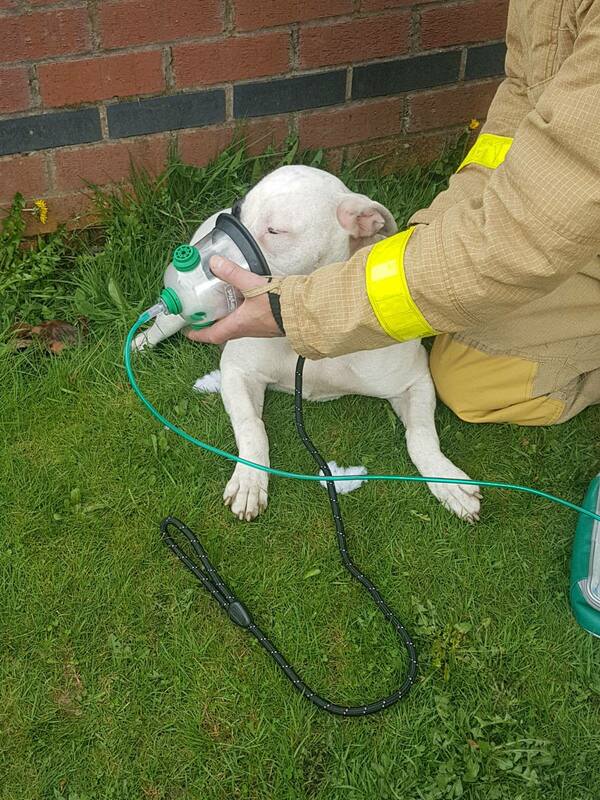 Merseyside Fire and Rescue Service were on hand to help a young canine called Tammy yesterday when they attended a fire at a property in Moorhey Road, Maghull. 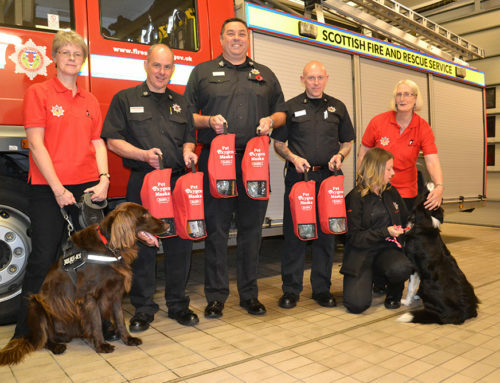 11 months old Tammy was in the front room of the house when a fire involving a washing machine/ tumble dryer started in the kitchen. 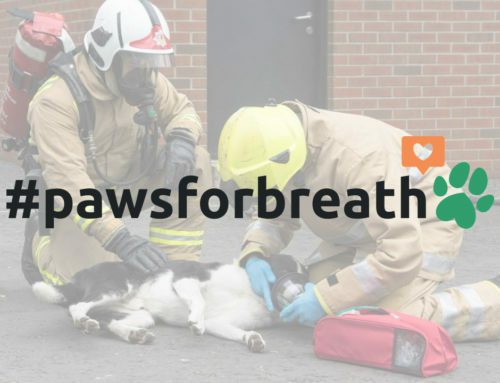 After rescuing Tammy safely from the living room, crews gave her extra oxygen outside with the help of a Smokey Paws oxygen kit. 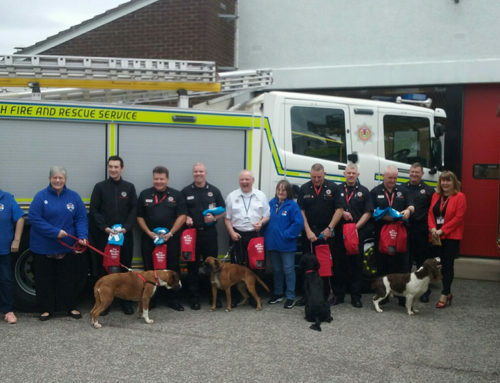 The new kits were introduced by Merseyside Fire and Rescue Service earlier this year and fourteen fire engines in Merseyside now carry pet-friendly oxygen masks to help pets in distress. The fire itself was extinguished quickly by the crew after they arrived.